Mon(£50): 2225 – Mrs Sheila Forbes, Leachkin Drive, Inverness. Tue(£60): 5311 – Mr F Reat, Craigton Avenue, Inverness. Wed(£70): 1218 – Mike Young, Garden Place, Beauly. Thu(£80): 0301 – David Tolmie, Planefield Road, Inverness. Fri(£100): 4948 – Carol Shields, Miller Road, Inverness. 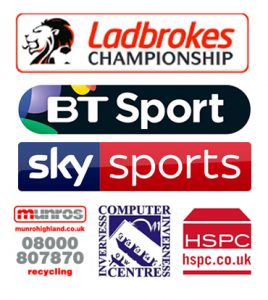 £500 WEEKLY WINNER: 5177 – Duncan West, Highfield, Muir of Ord. Mon(£50): 4583 – Steven McAra, Burnbrae Terrace, Inverness. Tue(£60): 1612 – Mr W Mackintosh, Glenurquhart Road, Inverness. Wed(£70): 1198 – Alastair percie, East Mackenzie park, Inverness. Thu(£80): 3614 – James Gordon, Ladeside Gardens, Inverurie. Fri(£100): 1462 – Julie Maclennan, Burnbrae Crescent, Inverness. £500 WEEKLY WINNER: 4645 – Mrs Lorraine Driver, Wellside Road, Balloch, Inverness. Mon(£50): 5694 – Miss L MacShannon, Birnie Terrace, Inverness. Tue(£60): 1887 – Mrs Agnes Calder, Lairg Road, Bonar Bridge. Wed(£70): 5205 – Mrs Julie Ross, St Martins Mill Road, Cullicudden, Balblair. Thu(£80): 1755 – Mr W G Campbell, Lochranza Drive, Helensburgh. Fri(£100): 0889 – Alisdair Graham, Moray Park Terrace, Inverness. £500 WEEKLY WINNER: 1963 – Mrs Isobel Mackenzie, Mackintosh Road, Inverness. Mon(£50): 1860 – Wilma Nicol, Mountrich Place, Dingwall. Tue(£60): 1162 – Mr D Jessiman, Lilac Grove, Inverness. Wed(£70): 2744 – Eunice McAdam, Windhill, By Beauly. Thu(£80): 5225 – Mrs Joyce Walker, Brookfield, Culloden Moor, Inverness. Fri(£100): 4573 – Philip Rose, Devonshire Terrace, Glasgow.